--A 42-year-old man died in a tree-well on Saturday at Mt. Hood. To read more, click here. --Last week an article made the rounds about the glory of being a ski instructor in Aspen. This week, things got a little more real, and an outside writer posted a piece about being an instructor at Mt. Baker Ski Area. Check it out, here. --Gripped is reporting that, "Paul McSorley and Joshua Lavigne have climbed an esthetic new mixed route in the North Walls on The Chief in Squamish. The 250-metre M5 mixed route climbs a long treed ramp to the base of two steep pitches of ice that have formed in the recent cold coastal weather." To read more, click here. 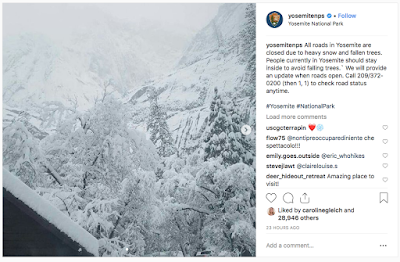 --Yosemite National Park is reporting that, "At approximately 12:30 p.m. on Sunday February 24, 2019, a park visitor was killed in an incident on the Mist Trail in Yosemite National Park. Xuan Wang, 56, from Cupertino, California was hiking on the trail when she was struck by falling rock and ice and she succumbed to her injuries soon thereafter." To read more, click here. The team behind Free Solo accepting their awards at the Oscars. --Here's an interesting piece on the Taos Ski Resort in New Mexico, it's history and culture. --The Red Rock Canyon National Conservation Area Scenic Drive will be open until 7pm starting on March 1st. 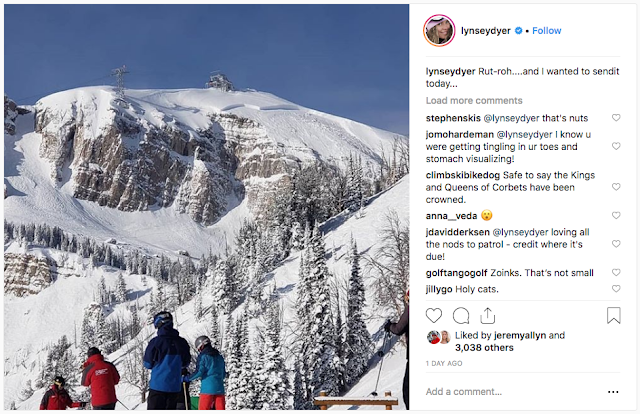 --The Vail Daily is reporting that, "A 62-year-old man died at Winter Park Resort Saturday morning after apparently suffering a medical episode." To read more, click here. --Here is an update on a February 16th avalanche that killed two men near Crested Butte. --The Boulder Climbing Community, a Boulder-based stewardship organization, has several board seats open. To read more, click here. --The American Institute for Avalanche Research and Education (AIARE) is looking for a new Executive Director. To read more, click here. --The Billings Gazette is reporting that, "One man is dead after being caught in an avalanche while skiing on the west side of the Bridger Mountain Range Tuesday, according to a press release." To read more, click here. --A 9-year-old boy died after he struck a tree at Big Sky Ski Resort in Montana. To read more, click here. --A climber was injured on Sunday near Santa Barbara on the Cold Spring Trail. To read more, click here. 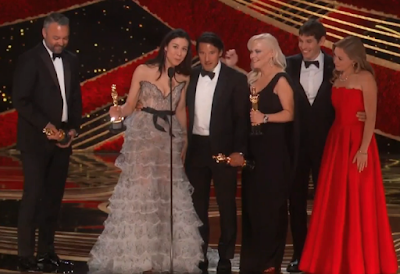 --Maureen Beck, a one-armed climber and the star of the Reel Rock film, Stumped, was just named one of National Geographic's Adventurer's of the Year. To read more, click here. --The Access Fund is reporting that, "Access Fund is thrilled to announce that it has secured critical protections for Wilderness climbing within the landmark Natural Resource Management Act that just passed Congress. Access Fund also celebrates the role of climbers in getting this historic, bipartisan public lands package through Congress. With the passing of the Natural Resources Management Act, Wilderness climbing protections are poised to be written into law for the first time, creating a legal precedent that will make it easier for Access Fund and its local affiliates to protect Wilderness climbing activities across the country. The bill now sits on the President’s desk, and he has indicated that he plans to sign this bipartisan bill it into law." To read more, click here. --The Access Fund is reporting that, "on December 28th, the Department of Interior (DOI) proposed new regulations under the Freedom of Information Act (FOIA) that would make it much harder for Americans to get basic information from the government—and Access Fund and our partners at Outdoor Alliance are pushing back. The DOI oversees the National Park Service and Bureau of Land Management, which oversee many of our most iconic climbing destinations. As a government agency, DOI must comply with FOIA, the critical law that allows the public to investigate and understand our federal government’s actions and decisions. Access Fund uses FOIA to request records from land management agencies in order to evaluate decisions that affect our public climbing areas and develop well-informed advocacy strategies. FOIA is vital to the functioning of a democratic society and critical to Access Fund’s work to protect public lands." To read more, click here. --Currently the Olympic climbing event will be a combined event with bouldering, lead climbing and speed climbing all mixed together. The goal is to separate these things for the 2024 Olympics. And it just might happen. To read more, click here. In the following video, a farmworker without easy access to the mountains demos several of his training contraptions while talking about mixed climbing. So, Alex Honnold's Free Solo makes my hands sweat. While inspirational, it's still often hard to watch. 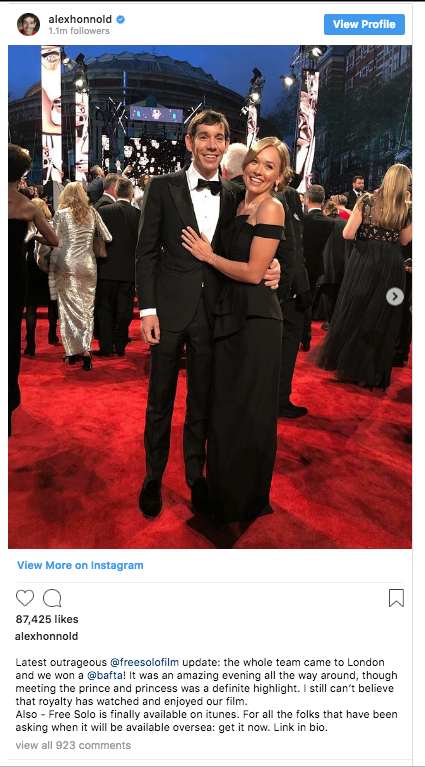 The same can be said for a short film that was produced by Salomon about Kilian Jornet's ski descent of Norway's Troll Wall. Big wall climber John Middendorf writes, "in the 1960's and 1970's, as Yosemite's great walls were being climbed, similar feats of big wall endurance were being performed on an arena quite removed from the temperate California scene, on the 1100 meter Trollrygen (Troll Wall), Norway's monster north facing big wall. At first sight, the wall seems just another buttress of rock along a high and majestic granite canyon. Then the "trolls" are spotted: a unique series of spires and pinnacles formed along the summit rim of the Trollrygen. Legend varies, but possibly the trolls that once inhabited this coastal mountain region (and still part of area's lore), were petrified forever for their sins. Each of the dozen- or-so 300 foot spires has its own name, such as Trollkjerringa, which translates directly to 'Troll's wife', but locally conjures up an image of a troll hag armed with evil spells and potions. After a moment, the size of the shadowed wall below the formations becomes evident: huge corners, concave roofs, and crack systems appear in the broken and foreboding rock face, which, if you happen to be a big route climber, is soon followed by a self-destructive impulse to approach the wall and thrust oneself onto the vertical." Most of the routes on the wall are standard big wall climbs with aid grades, free climbing grades and commitment grades. But there is one steep snow and ice line, the Fiva Route. This is what Jornet decided to ski. --Protect Our Winters is leading the charge to get the head of the International Ski Federation to resign. Why? Gian-Franco Kasper is a climate denier and loves dictators...two things that are not in line with the ethics of the snow sports community at large. To join POW in their effort to get Kasper to resign, click here. --A snowboarder in Idaho that was hit by a vehicle after attempting to jump a road has died. To read more, click here. --Here's another deep snow immersion tree well fatality in Oregon. News 10 is reporting that, "An autopsy preformed Monday has confirmed that Johnathan Patrick Likeke Walker, 23, died of suffocation following a skiing accident on Mt. Ashland on Saturday, according to a statement released by the Jackson County Sheriff's Office." To read more, click here. --British Columbia's Terrance Standard is reporting on a helicopter evacuation. "Two experienced climbers were rappelling at a waterfall in the Oliver Creek area, northeast of Terrace, when one of the men slipped and injured his leg. Using their inReach device, which is a tool that is used to send text via satellite, they initiated a 911 call with their coordinates to the RCMP who then contacted Terrace Search and Rescue (SAR) at approximately 4:12 p.m. Monday." To read more, click here. --The Washington Climber's Coalition is reporting that, "Starting March 1, 2019, a seasonal raptor closure will be in place for select Newhalem climbing areas to protect nesting Peregrine falcons in the Ross Lake National Recreation Area of North Cascades National Park." To read more, click here. --GoSkagit is reporting that, "Washington’s National Park Fund announced this week it has given $1.6 million to the state’s three national parks, including the North Cascades National Park Service Complex." To read more, click here. --Here's a blog about the glacial retreat of Mt. Baker's Boulder Glacier from 1980 to 2018. It is certainly grim news. --There was a big avalanche on Mt. Shasta this week. --A skier is suing Stevens Pass Ski Resort because he claims he ran into a rope. There is video in this article and there doesn't appear to be ropes anywhere. To read more, click here. --The Tahoe Daily Tribune is reporting that, "Ski patrollers with the help of a search dog found the body of missing skier Brett Herrick at about 10 a.m. Tuesday, according to the Douglas County Sheriff's Office." It's not yet clear, but this could have been a deep snow immersion fatality. To read more, click here. --Mammoth Mountain has the most snow in the hemisphere with 446-inches. Washington's Mt. Baker is in second place with 399". To read more, click here. --The Mt. Whitney Lottery opens on February 22nd. To read more, click here. --After a snowstorm last night in Las Vegas, AAI guide Andrew Yasso may have just become the first person to "backcountry ski" -- or at least skin -- in Red Rock Canyon National Conservation Area. --Eco Watch and many others are reporting that, "On Jan. 14, 103-year-old Rose Torphy visited the Grand Canyon with her daughter. While there, she stopped in at the park store and learned about the junior ranger program, then decided to become a junior ranger herself." To read more, click here. --Fox News is reporting that, "Two backcountry skiers were killed over the weekend in an avalanche in an area of Colorado known as 'Death Pass,' officials said. 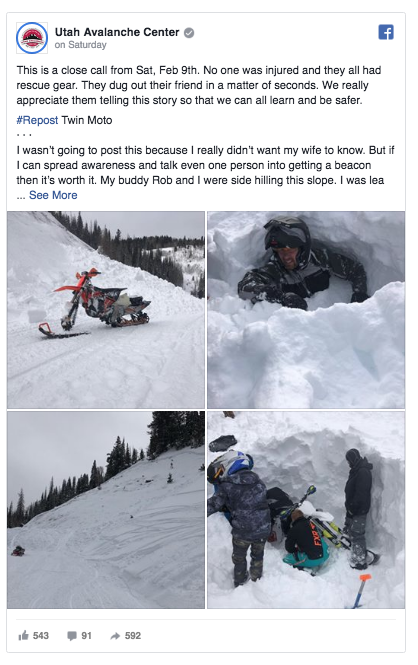 Crested Butte Search and Rescue said in a Facebook post the two backcountry skiers were reported missing on Saturday night near the town of Crested Butte, and tracks were discovered leading into a fresh avalanche field near the area known as 'Death Pass.'" To read more, click here. --The Denver Post is reporting that, "A backcountry skier went missing Tuesday and is believed to be a victim of an avalanche near Telluride, authorities say." To read more, click here. --WDSU 6 is reporting that, "A near-death experience was caught on camera after an avalanche in Utah over the weekend buried a skier. The skier who was trapped in the avalanche doesn't want to be identified. But the two friends who rescued him are sharing their harrowing story." Video of the incident can be found, here. 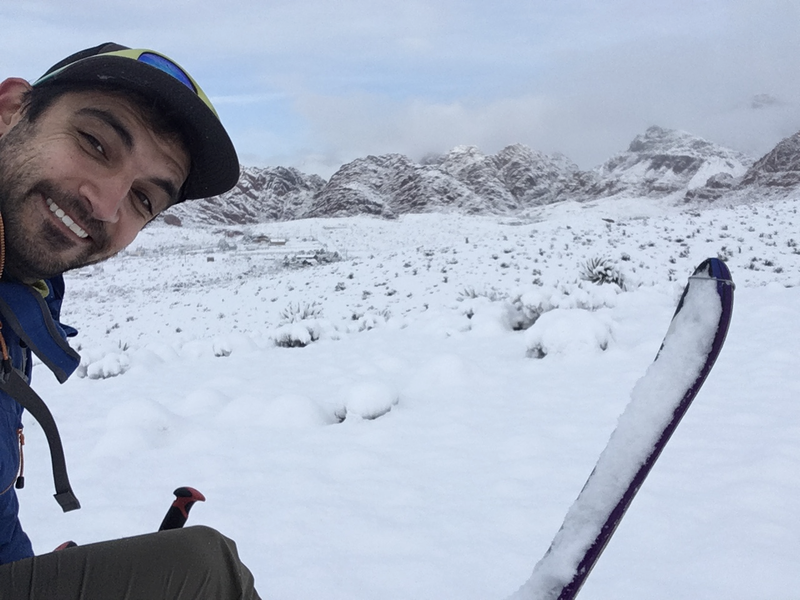 --2KUTV is reporting that, "Zion National Park search and rescue crews spent the night in a snowstorm after rescuing a man who got stuck in quicksand. On Saturday, Zion dispatchers received a report of a 34-year-old man from Arizona who got his leg stuck in quicksand." To read more, click here. --Here's a piece on the runner who killed a mountain lion with his bare hands...! --This is a fun story about what it's like to be a ski instructor in Aspen. --Ski areas throughout the United States are struggling with parking. Snowbird in Utah has come up with a solution, a ride app that people can use to coordinate their drive. To read more, click here. --Three people in two separate incidents were involved in avalanches at the same time over the weekend near Wyoming's Teton Pass. Everybody survived, though one person had to be resuscitated. To read more, click here. --PBS News Hour is reporting that,"the Senate on Tuesday approved a major public lands bill that revives a popular conservation program, adds 1.3 million acres of new wilderness, expands several national parks and creates four new national monuments. The measure, the largest public lands bill considered by Congress in a decade, combines more than 100 separate bills that designate more than 350 miles of river as wild and scenic, create 2,600 miles of new federal trails and add nearly 700,000 acres of new recreation and conservation areas. The bill also withdraws 370,000 acres in Montana and Washington state from mineral development." To read more, click here. --Outside online is reporting that, "Camber Outdoors CEO Deanne Buck has announced that she will step down effective immediately. The resignation came after backlash Camber received over its CEO Outdoor Equity Pledge. At Outdoor Retailer last month, Camber launched its new initiative for increased diversity, equity, and inclusion in the outdoor industry, calling on brand executives and CEOs to make concerted efforts to support people of diverse backgrounds in leadership roles. The only problem: in wording on its website, and in Buck’s oral remarks at the trade-show announcement, Camber called the program the first of its kind. As critics have pointed out, that’s not true." To read more, click here. UPDATE: The resignation of REI's CEO may have been connected to Buck. To read more, click here. --Climbers bring a tremendous amount of money into the New River Gorge region. --If you want to know how climbers are going to be chosen for the Olympics, check this out. 1) Turn on the beacons and confirm that there is power. Each individual should state their battery life. Batteries that are at less than 80% should be changed out. Rechargeable batteries are not as good as off-the-shelf batteries as they appear to have a lot of power but then lose it quickly. 2) Everybody accept for one person (the leader) should switch their beacons to search mode. They should see if they can "see" the person in transmit mode and the distance on their beacons. Don't touch beacons together when you practice this as direct contact can fry the circuits. 3) The team should turn their beacons back to transmit. The leader can then switch his beacon to search and have the members of the team file by as he checks that he can "see" them with his beacon. 4) Once this is complete, one person should watch as the leader turns his beacon back to transmit. 5) Beacons can be stored in the beacon harness or in a pocket. If in a pocket, the pocket should be integrated (so that it can't tear off) and it should have a zipper. 6) Note that cell phones, Go Pros, radios, or other electronic devices may adversely impact the effectiveness of a beacon. These devices should be stored away from the beacon. Your avalanche beacon is your life. Make sure that it's on and that it has been adequately checked before going out to ski! A few years ago I was guiding a multi-pitch line in Red Rock Canyon. Before we launched off the ground, I showed the climbers that I was working with how to wrap up a cordellete. "A Codyball," one of the climbers said. "When we were in the Gunks, we had a guide named Cody who showed us this technique. We didn't know what to call it, so we started to call it a Codyball." So Cody, wherever you are...thank-you. For I too have started to call this technique of wrapping up a cordellete a Codyball. Before launching into how to tie a Codyball, I'd like to point out that there are many ways to stow a cordellete. The two most popular ways are 1) to simply triple up the cordellete and then tie an eight into it and 2) to tie a Codyball. It is easier, albeit sloppier to simply tie the cordellete into an eight. In addition to this, it is quite long. A long cordellete -- or anything long hanging off your harness -- can be dangerous when you are mountaineering or ice climbing. Things can get stuck in your crampons when you are not paying attention. A cordellete tied as an eight. A Codyball is a little bit harder to make. It requires you to spend a bit of time wrapping up the cord and it can also hang down too far if you are not careful. If you're wearing crampons, always be very careful about how far down things hang. 1) Start with the end of the cordellete in your hand. 2) Wrap the cord around your hand until there is only about two feet left. 3) Take your hand out of the wrap and squeeze that section of cord together. 4) Wrap the remaining cord around the squeezed section. Be sure to capture the strand coming out of the squeezed section so that it all doesn't come unraveled. 5) Once there is almost no additional cord left, take the remaining line and push it through the eye of the Codyball. 6) When the Codyball is finished, you may clip it to your harness. If it hangs down too much, simply add a couple more twists with the cord around the ball until the tail is at the desired length. Codyballs provide a great way to stow your cordellete, but like everything else in this blog, they take some practice. When you're sitting around watching movies on your laptop, keep a cordellete in your hand. It will probably only take one or two viewings of The Eiger Sanction before you'll have it completely dialed. --So, the head of the International Ski Federation is both a climate denier, as well as a guy who loves to work with dictators. It seems like he should get a new job, or at least lose the one he currently has. Maybe these tone deaf comments will help with that. To read more, click here. --Outside is reporting that the CEO of REI is stepping down due to a undisclosed personal relationship with the leader of another outdoor brand. To read more, click here. --The Washington Beer Blog is reporting that, "Rainier Beer and Aslan Brewing teamed up to create a beer to benefit Protect Our Winters, an organization of winter athletes and forward-thinking business leaders working toward systemic political solutions to climate change. In addition to being a benefit beer, it celebrates a legendary event at Mount Baker. Here is the press release with all the information. Rainier and Aslan teamed up to create King of the Mountain, a limited release pilsner." The event is the Legendary Banked Slalom, which took place over the weekend. To read more, click here. 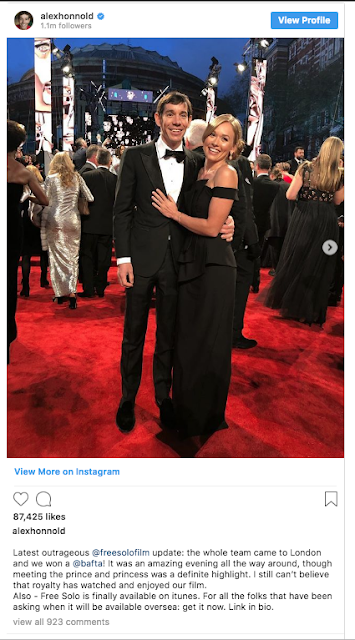 --The Tahoe Daily Tribune is reporting that, "a snowboarder who went outside the boundaries at Squaw Valley Alpine Meadows ski resort made it out of the snowbound backcountry thanks to efforts by a local search and rescue team. The rescue occurred in the bitter cold morning hours of Feb. 1, according to a press release form the Tahoe Nordic Search and Rescue Team." To read more, click here. --The National Parks Traveler is reporting that, "Grand Canyon National Park Superintendent Christine Lehnertz, who was removed from her job last fall after undisclosed allegations were made against her, has been cleared of any wrongdoing and is returning to the park. In an email to Grand Canyon staff, acting National Park Service Director Dan Smith on Thursday said an investigation into the allegations concluded they lacked credence." To read more, click here. --Is access to the outdoors a basic human right? We think so, and so do lawmakers in New Mexico. Outside ran an editorial last week about an outdoor equity fund being put together in that state. To read more, click here. --KCRA 3 is reporting that, "Authorities have identified a 30-year-old California man who died in a skiing accident over the weekend at a resort near Lake Tahoe. The Washoe County Regional Medical Examiner's Office in Reno said Andrew McDowell of Tahoe City, California died at a Reno hospital Sunday from injuries he suffered at Northstar California resort near Truckee, California." To read more, click here. --Utah's Park Record is reporting that, "A 49-year-old man from Mona died Saturday in an avalanche in the eastern part of Summit County, according to the Summit County Sheriff's Office." To read more, click here. --The Vail Daily Press is reporting that, "Seeking to restore the landscape and teach the importance of respecting the land, a group of rock climbing enthusiasts scrubbed 400 graffiti markings from hills adjacent to Horseman’s Center Park this weekend. The “Apple Valley Rally Vol. 2 Graffiti Clean-Up” was the High Desert Climbers’ second such event." To read more, click here. --Here's a strong argument for the abolition of outdoor trade shows. --A skier struck by a snowboarder at Snowmass is filing a lawsuit. To read more, click here. --Utah's congressman Rob Bishop appears to be blaming the clothing manufacturer Patagonia for climate change. Bishop was one of the forces behind the shrinking of Bears Ears National Monument. To read more, click here. --A climber survived a major fall in North Carolina last week. The climber reportedly fell 100 to 150-feet at Looking Glass Rock. To read more, click here. --There was a fatality this week at Blue Mountain Ski Resort in Pennsylvania. To read more, click here. --A 68-year-old died at Vermont's Jay Peak resort after hitting a tree. To read more, click here. --The UK Women's "Grit and Rock" climbing awards have been announced. Among the winners is Chantel Astorga, a former AAI Guide. To read about all the winners, click here. --After a big dust-up over competing diversity initiatives at the Winter Outdoor Retailer Show, we have the opportunity to learn. And this editorial is a good place to start. --The Access Fund is reporting that it is, "is excited to announce that we will increase our Climbing Conservation Grant Program from $40,000 a year to $55,000 a year to meet the growing need for climbing area conservation and strengthen local climbing advocates." To read more, click here. --Prana is in trouble with, well, everybody after posting the preceding photo on Instagram. 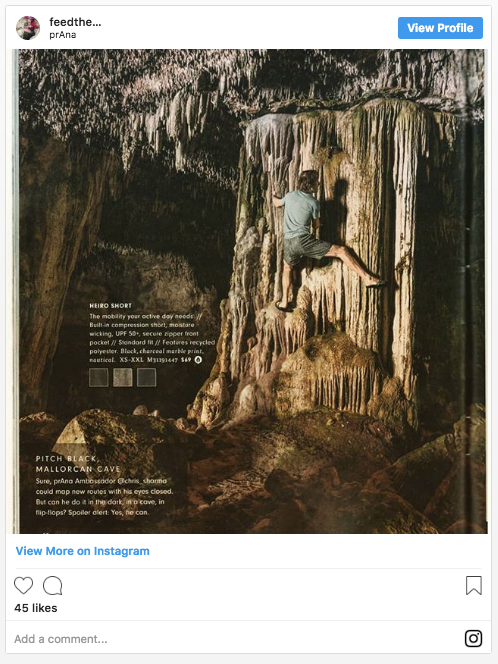 If you've ever been caving, then you know that the very first rule is not to touch delicate structures, like stalactites and stalagmites. Touching one of these features can impact hundreds, or even thousands, of years of growth. Naturally, people were up in arms after this photo was posted. To read more, click here. --And finally, bear hangs might not be the best way to keep your food away from hungry animals. To read more, click here. Every now and again, a cartoon character engages in some type of climbing. Here's a funny little piece about Goofy, about Wild Country Friends, quick draws, face climbing and all sorts of shenanigans. --At last week's Outdoor Retailer Show, the industry launched a stand-alone entity called the Outdoor Business Climate Partnership. This organization will work to advocate for green energy and public lands by flexing the outdoor industry's muscle. To read more, click here. --Wired is reporting that, "in the insular world of snow and avalanche researchers, there is general agreement that climate change will affect avalanche activity." To read more, click here. The shadow of two climbers at Smith Rock. --News Channel 21 is reporting that, "Deschutes County sheriff's deputies called to an apparently fatal fall at Smith Rock State Park on Thursday afternoon have conducted an investigation and determined the death to be a suicide, officials said." To read more, click here. --Free Solo has just become the second biggest grossing documentary of 2018. Variety is reporting that, "National Geographic’s palm-sweat inducing film has now surpassed “RBG,” Magnolia Pictures and Participant Media’s feature of esteemed Supreme Court Justice Ruth Bader Ginsburg, as the second-highest grossing documentary of 2018. 'Free Solo' added another $1.38 million in its 19th weekend of release, bringing its total bounty to $14.98 million. It played at 483 venues this weekend, including over 350 Imax screens, marking its widest point of release to date. 'Free Solo' has also generated an impressive $1.6 million in the United Kingdom, where it is now the biggest doc of last year." To read more, click here. --Here's a round-up of Yosemite rockfall incidents in 2018. 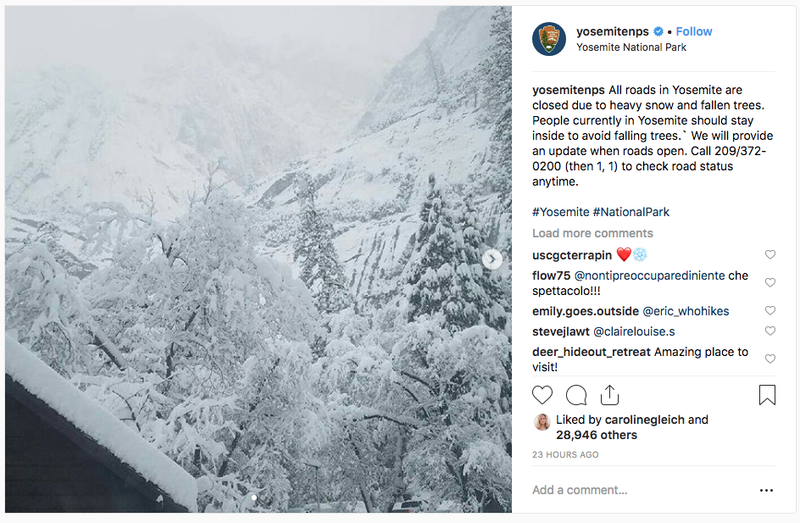 --Speaking of Yosemite, it was closed yesterday due to a snow storm. To read more, click here. --The Desert Sun is reporting that, "Some of the most iconic photographs taken inside national parks during the partial government shutdown were of fallen Joshua trees inside Joshua Tree National Park. One of those images, which showed a downed Joshua tree that had apparently been felled, was published in early January by the nonprofit publication National Parks Traveler." To read more, click here. --The Denver Post is reporting that, "Colorado Parks and Wildlife officers confirmed through a necropsy that a jogger on Horsetooth Mountain in Larimer County survived a rare attack by a young mountain lion by suffocating the animal to death. 'After additional investigation, including examination of the lion, we have confirmed the victim’s account that he was able to suffocate the animal while defending himself from attack,' Colorado Parks and Wildlife officials tweeted Tuesday morning." To read more, click here. --Summit Daily is reporting that, "When it comes to avalanches, Colorado stands alone as the single most dangerous destination in the country. And if the early numbers are any indication, the state may be headed for a grim milestone." To read more, click here. --The News and Observer is reporting that, "A rock climber was injured but alive after falling off popular Looking Glass Rock in the North Carolina mountains on Saturday, according to Facebook posts by the Transylvania County Rescue Squad. The climber fell 100 to 150 feet to the base of the rock, the squad wrote on Facebook." To read more, click here. --Last week at the Outdoor Retailer Show, Camber Outdoors got itself into some hot water. Camber has been known for promoting women in the outdoor industry. But recently they attempted to expand their efforts to include people of color. The announcement of this new initiative, though admirable, was poorly executed and tone deaf. To read more, click here. There's an interesting take on this at mountainproject.com. --Former AAI Guide Chantel Astorga has won a Cutting Edge Grant from the American Alpine Club to climb in Pakistan's Karakoram. To read more, click here. --The Hill is reporting that the NPS will not use entrance fees to pay for the shutdown. To read more, click here. --An oil industry lobbyist has been selected as the next Secretary of the Interior. To read more, click here. --The American Alpine Club Live Your Dream grant application period is now open. According to the AAC, "The Live Your Dream grant, powered by The North Face, is designed to help every-day adventurers take their abilities to the next level. It is about personal progression. It is about supporting each other; getting out there to push our individual limits; taking our skills to the next proving grounds, wherever that may be. The purpose of this grant is to support and promote unforgettable experiences for climbers—to dream big, to grow, and to inspire others." To read more, click here. Wow, this is an artfully shot piece from Chile. The promo says, "the Pehuenche people of present-day Chile speak Mapudungun: ‘the language of the land.’ This land, their universe, is known as Wallmapu. Two skiers enter, into a breathtaking creation of ancient Araucaria trees, looming volcanoes, and windblown snow."